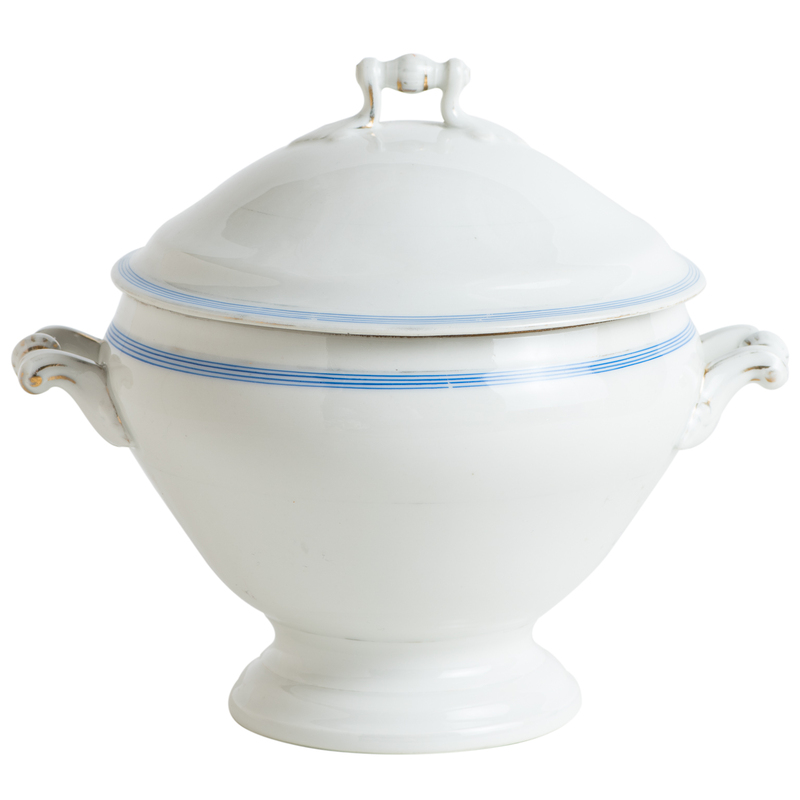 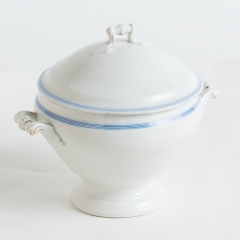 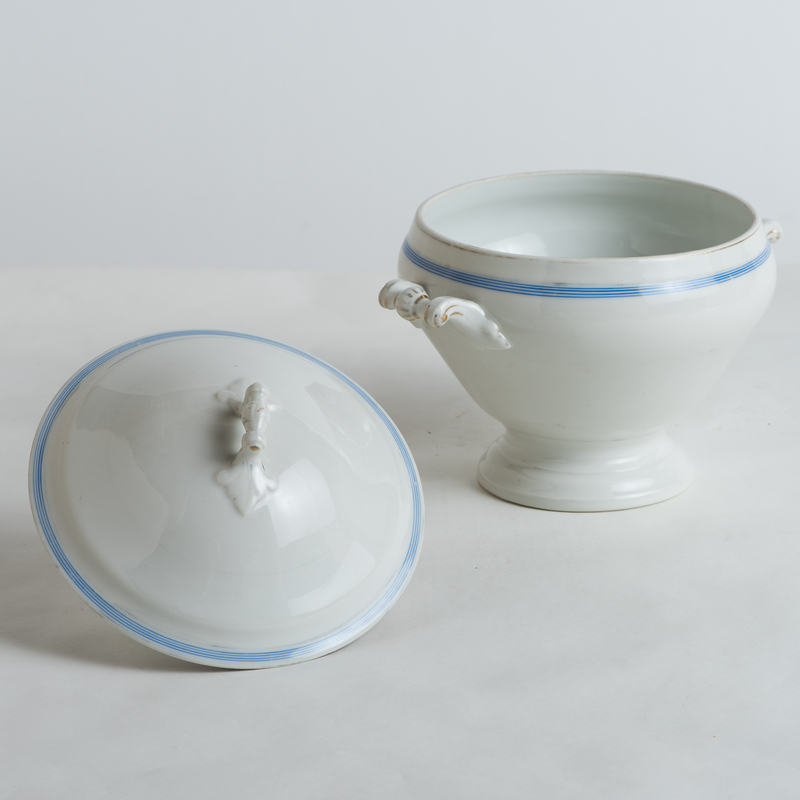 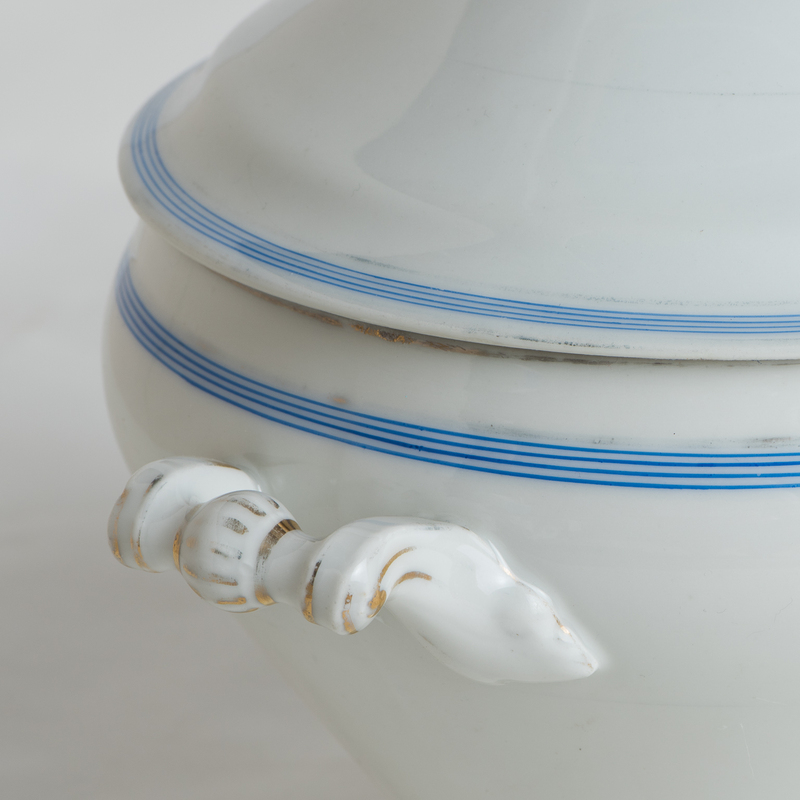 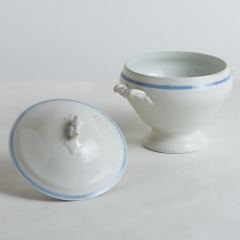 This soup tureen has an elegant blue stripe around the lid and rim and touches of gold that remain. 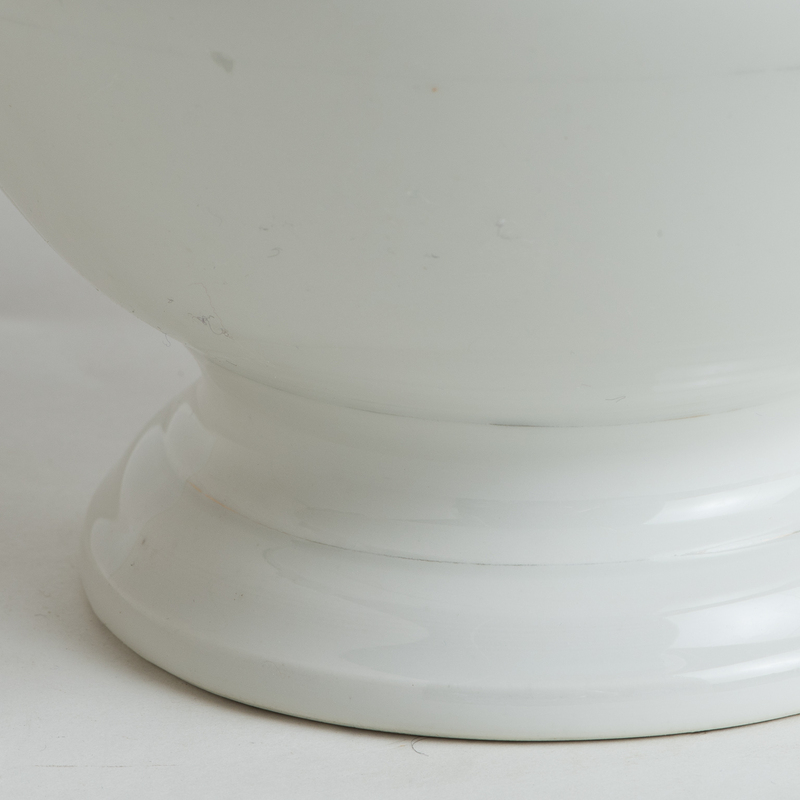 It is in great condition with no chips or discolorations. It is definitely ready to be the centerpiece at a festive dinner party.